As the summer rolls on, so should your vehicle. Don’t let the summer heat get your vehicle’s tires down. Under inflated, over inflated, worn out, or misaligned tires can pose a huge danger, especially in the summer months. Here are a few tips on how to beat the heat and protect your tires. As the temperature rises, so does your tire pressure. It is vital to check your tire pressure during summer to make sure your tires are not over inflated. Over inflated tires cause uneven tread wear on your tires and increase the chances of a blowout. Check your tires often with a hand gauge to prevent under inflated tires. 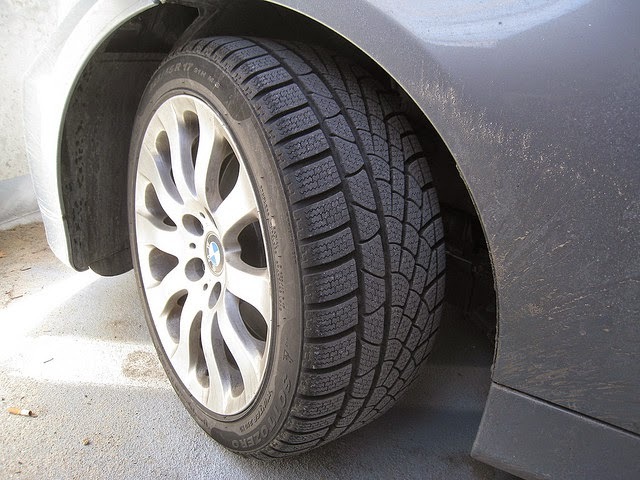 Under inflated tires cause uneven tread wear, lower your miles per gallon, and bulge the sidewalls of your tires outward which increases the chances of a blowout, especially during the summer. Stick a penny in the tread of your tire, with the top of Lincoln’s head facing the tire. If Lincoln’s head disappears into the tread, then your tires are still road worthy. If you can see all of Lincoln’s head, then it is time to get new tires. Do not forget to check your spare tire! You want to make sure your spare is ready for action in case of an emergency on the road. Better safe than sorry! Jiffy Lube of Indiana is also here to help. Just stop on by one of our many convenient locations and get your tires checked as part of the Jiffy Lube Signature Service Oil Change. Our certified technicians will keeping your vehicle rolling all summer long!